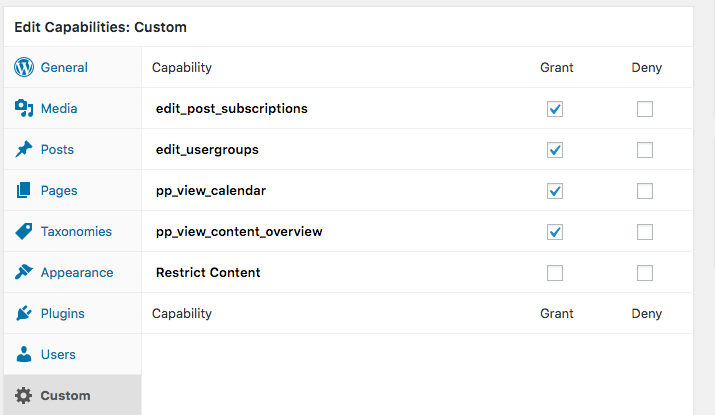 What are the Default User Permissions in PublishPress? In this guide, we’ll show what PublishPress permissions are available to users in different WordPress roles. Click here to see the default permissions for Subscribers in WordPress. Click here to see the default permissions for Contributors in WordPress. Click here to see the default permissions for Authors in WordPress. Click here to see the default permissions for Editors in WordPress. Calendar: They can see the Calendar and create scheduled content. Content Overview: They can see the Content Overview screen. Contributors can create new Notification workflows and submit them for approval. Authors can create new Notification workflows and publish them without approval. Editors can create new Notification workflows and publish them, and trash them. 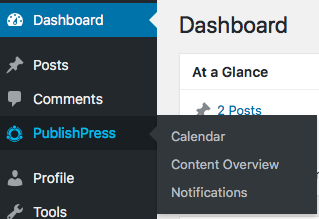 You can change the permissions on PublishPress (such as who can move content to each status) using the Permissions add-on. edit_post_subscriptions: This allows users to edit the PublishPress notification workflows. edit_usergroups: This allows users to edit the PublishPress user groups. pp_view_calendar: This allows users to view the Calendar screen. pp_view_content_overview: This allows users to view the Content Overview screen.